What was commonly known as the DCEU officially died at San Diego Comic-Con today, but that's not at all a bad thing. The studio didn't actually come in and kill the interconnected universe they began with Man of Steel in 2013. 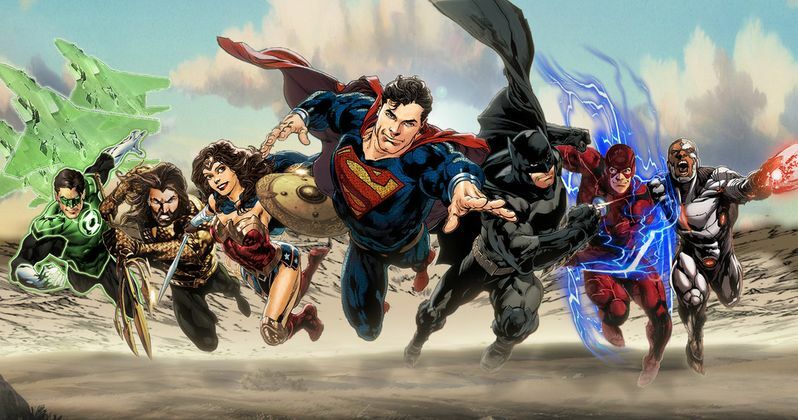 However, they made it very clear that it won't be business as usual moving forward and that started with the studio officially rebranding their on-screen DC universe as Worlds of DC. RIP DCEU: 2013 to 2018. Jokes aside, the DCEU, or DC Extended Universe, was never technically an official name for the universe of connected movies. But with Warner Bros. stepping out and giving it an official title with Worlds of DC, they're making a statement that the future is bright and they're going to make whatever changes are necessary to make sure these movies are much better, or at least less divisive, if you're one of those who enjoyed Zack Snyder's vision, moving forward. It isn't completely clear at the moment if this Worlds of DC banner will include movies like the Joker origin movie, which will take place outside of what was the DCEU continuity. We've been hearing that the studio will launch a separate banner to tell standalone stories for some time now. Worlds of DC, without question, absolutely owned SDCC 2018. That much is certain. To go along with the rebranding, Warner Bros. brought the house down with a ton of footage from their upcoming releases. They decided not to focus on announcing a bunch of future titles. Instead, they're sticking to what they actually have in the pipeline. That stated with some Wonder Woman 1984 footage, with director Patty Jenkins and stars Gal Gadot and Chris Pine on hand to showcase it. This naturally went over well with the crowd. The studio also released the first teaser trailer for Shazam!, which is set to arrive in April 2019. Zachary Levi, who plays the titular hero, was at the event. This trailer, more than any of the other footage shown, makes it clear that they are going for a serious change in tone moving forward. Optimistic. Light. Fun. Enjoyable. Again, there are a lot of defenders for movies like Batman v Superman: Dawn of Justice out there, but Warner Bros. can't afford to keep playing things that way. Shazam looks like a real crowd pleaser. Lastly, Jason Momoa and director James Wan came out to introduce the Aquaman trailer, which was probably the most hyped bit of footage coming our way this weekend. This too looks to be much lighter in tone and a great deal of fun. Even though the stakes are high, with a war between Atlantis and the humans on the surface brewing, this is a change for DC on the big screen. Aquaman is the first of these new movies to hit theaters on December 21 and will be the first Worlds of DC movie to hit theaters. It will come more than a year after the disappointing Justice League arrive last November. Warner Bros. came, saw and conquered SDCC in a big way this year.